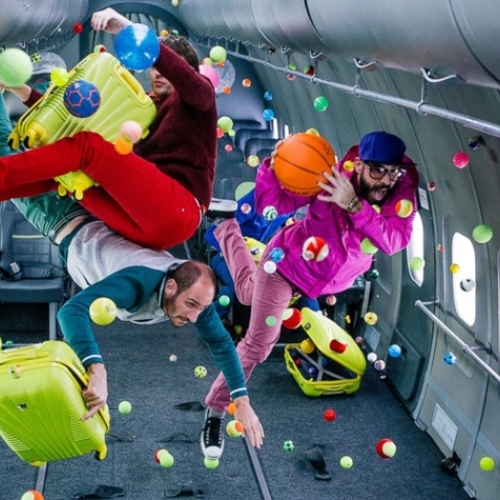 VIDEOOK GO's Upside Down and Inside Out music video - shot in zero gravity! 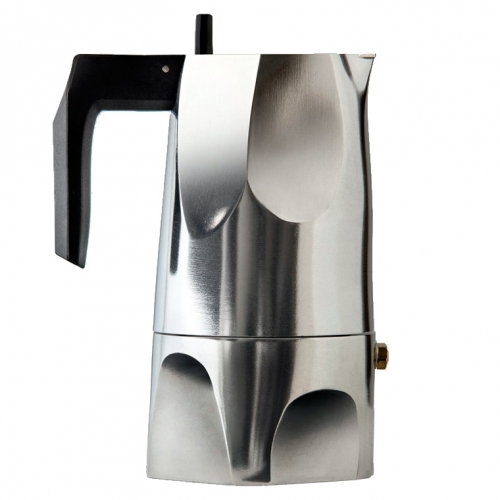 Ossidiana designed by Mario Trimarchi is a moka coffee pot. 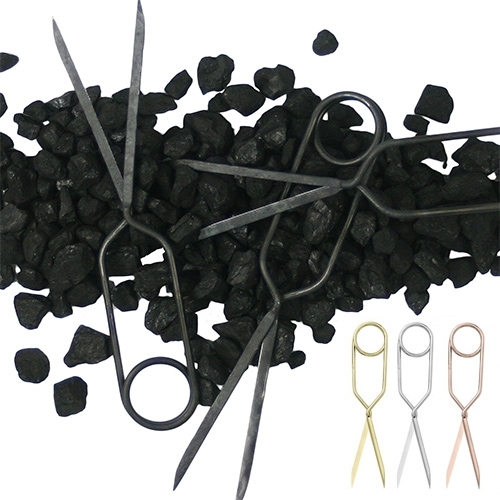 Its scoops of subtracted aluminium become perfect handles, for gripping while tightening and opening, and are a cultural reference to prehistoric flints. 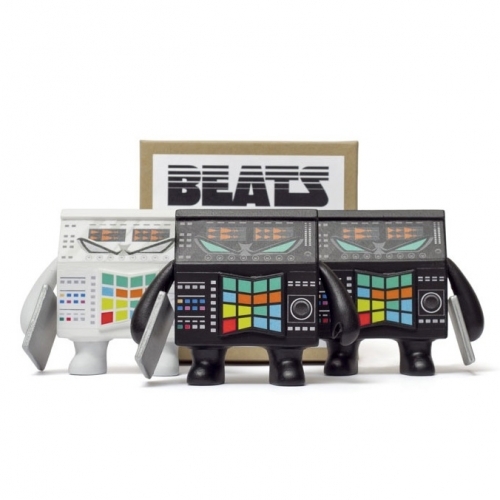 JPX x Coarse: Kwaii (Clomp) Designer Toy! 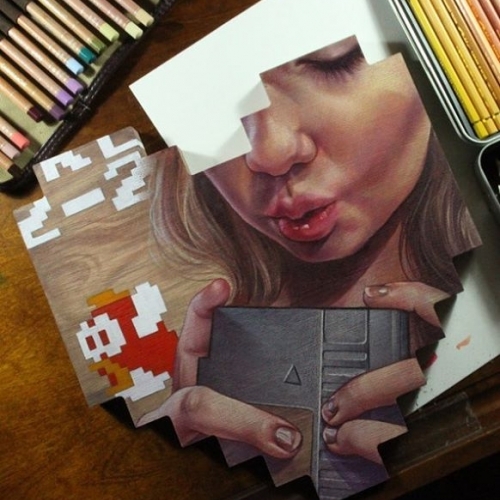 Limited edition of 350. 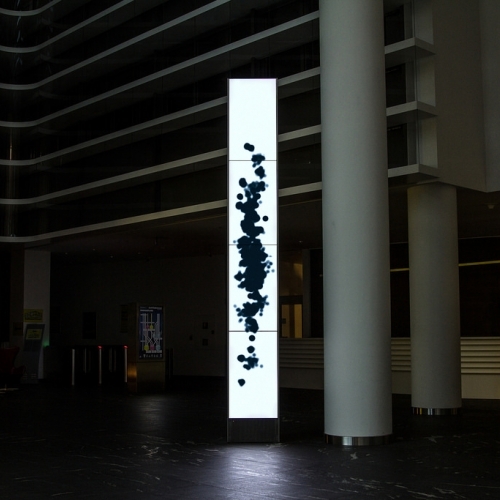 Monolith by Process Studio - This 4.10 meters tall interactive installation is visualizing the current energy consumed by newly-built skyscraper in Vienna into generative artwork. 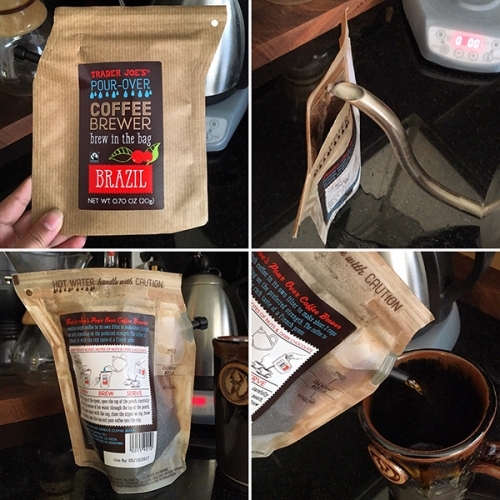 FEATUREDUp close with Trader Joe's/Grower's Cup Pour Over Coffee Brewer... that you brew in the bag! 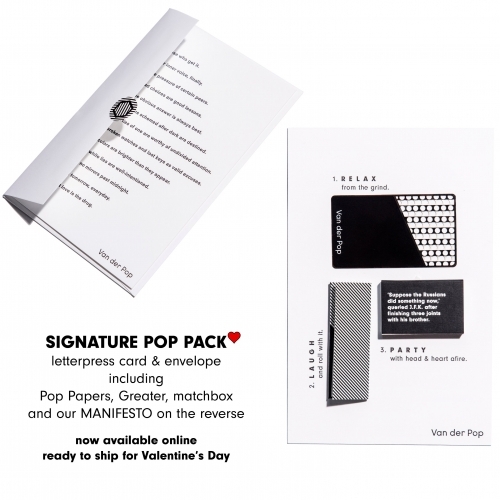 Fun, innovative packaging design - that's reusable too. 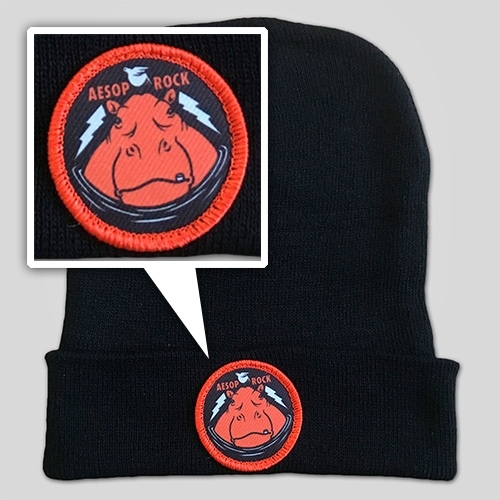 Aesop Rock Hippo Beanie with illustration from Jeremy Fish at Upper Playground! Wellcome Book Prize for literature that engages with the human experience of medicine and medical science. 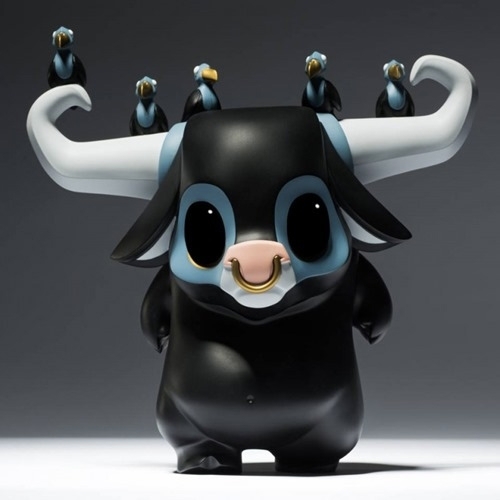 This year’s trophy: a bespoke creation inspired by the nerve cells of the mind, from London-based artist, Kyle Bean. 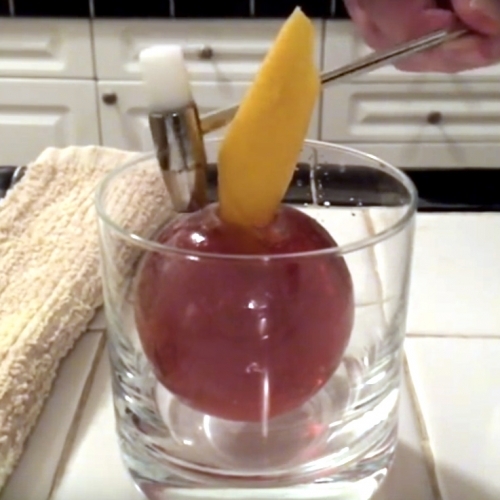 VIDEOCocktail Chemistry's Ice Ball Cocktail... instead of an ice ball floating IN your drink, the drink is IN your ice ball! The best part is when you get to crack it open with a little hammer before indulging! 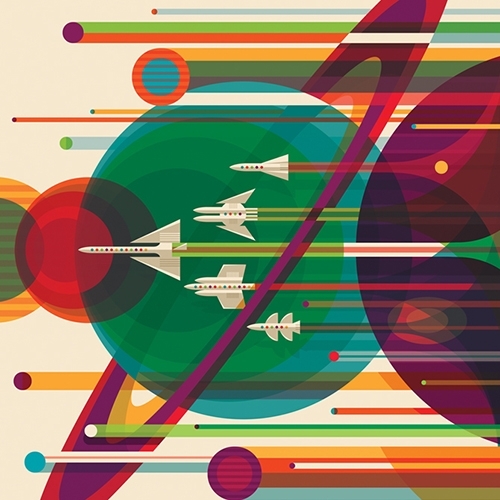 Invisible Creature's "Visions Of The Future" posters for NASA include the Grand Tour, Enceladus, and Mars. 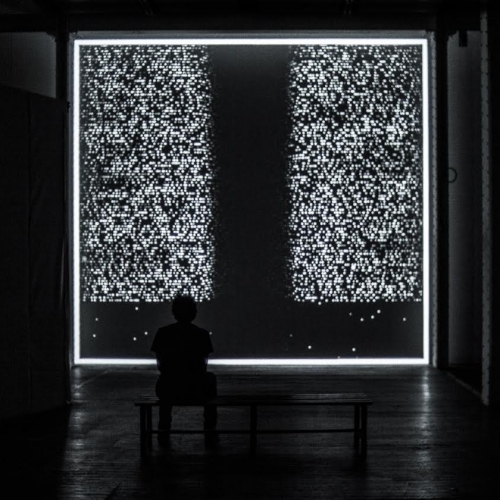 The series #WordsOfData by Aleix Fernandez generates serene and repetitive audiovisual structures that are something of an audiovisual mantra, using thousands of Twitter messages as raw material. 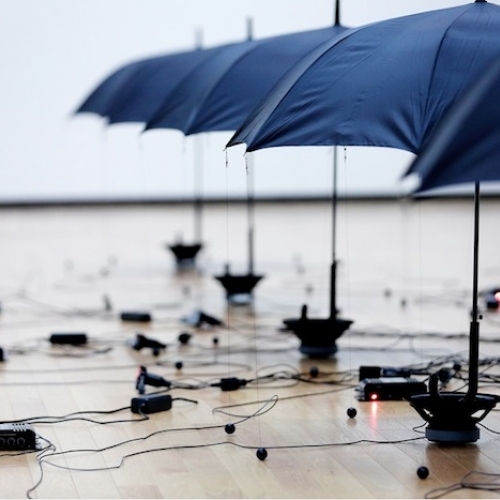 Japanese artist and designer Kouichi Okamoto, and founder of Kiouei Design, has created a sound installation, called Re-Rain, that proposes a way for the immaterial forces of sound, gravity, and magnetic force to find a physical form. 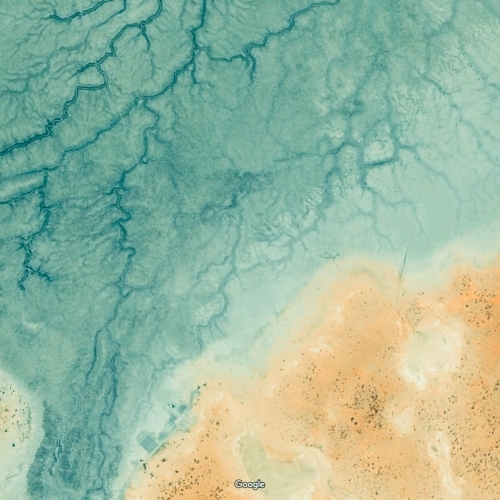 At the intersection of technology, nature, and aesthetics, Arterrae is a project that finds the awe-inspiring textures and colors hidden in Google Maps satellite images. Children's Teepee Cabin Bed by Dutch designer Woood. A fun and functional bed to encourage development through play. 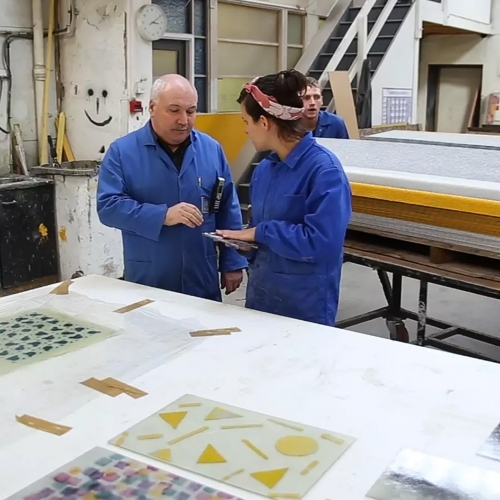 VIDEOWhat happens when you put textile designers in a resin factory? 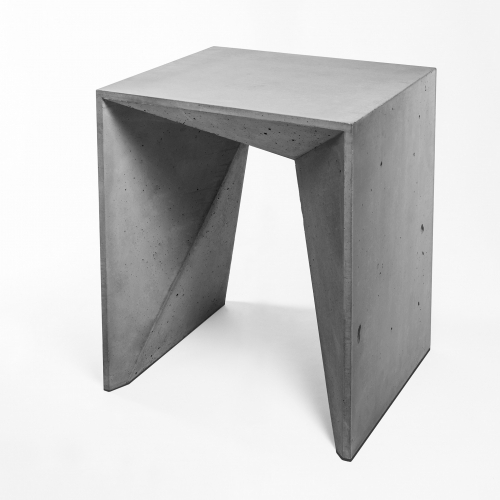 Bespoke Atelier collaborate with Smyth Composites as part of the Hospitalfield in Industry residency. 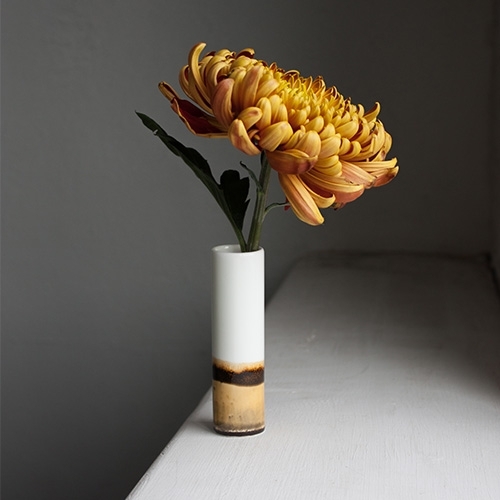 Studio Glaze vases by Reiko Kaneko - Exploring the possibilities of reactive glaze on the pristine white china of the potteries. 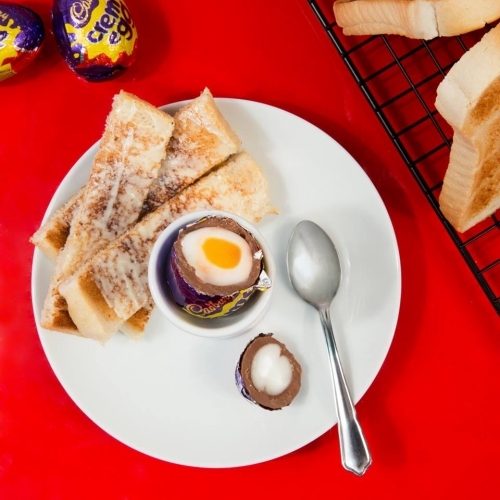 FEATUREDCadbury has launched a Creme Egg Cafe in London. Complete with neon signs, creme eggs and soldiers, creme egg toasties, a ball pit and creme eggs in all kinds of decorative forms. 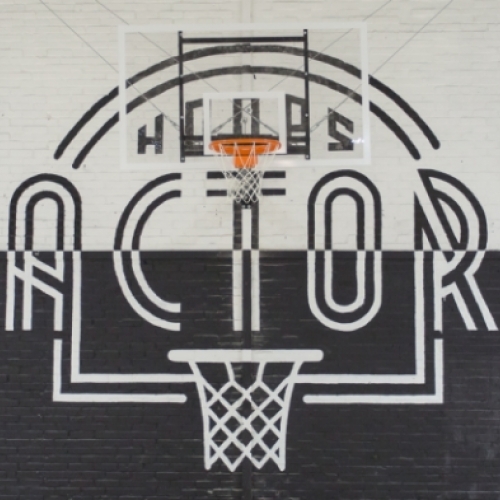 A new indoor basketball temple open in Paris: THE HOOPS FACTORY. What is -not- to LOVE?! 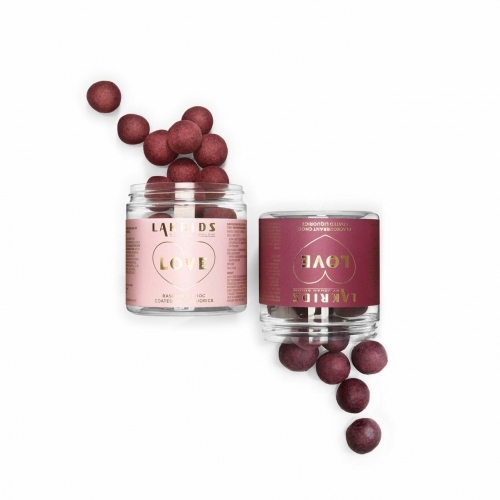 Choc coated licorice LOVE edition from Lakrids by Johan Bülow. Rebecca Price Store and Pour Storage Jars with wood lids. Love how they efficiently nestle together on your counter top! 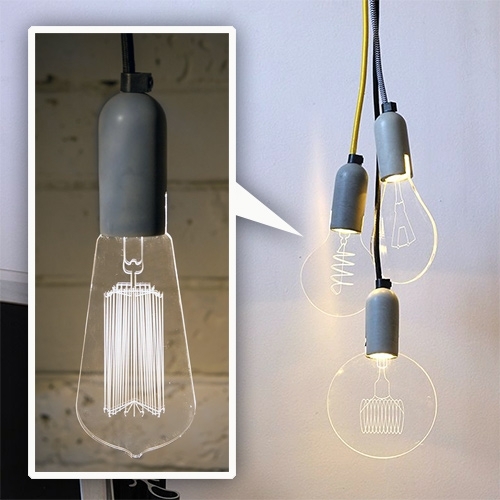 Big Design Pulse Lamps - Lovely light design with the colored cord tucked into a recycled glass bottle and the bulb sitting on top. 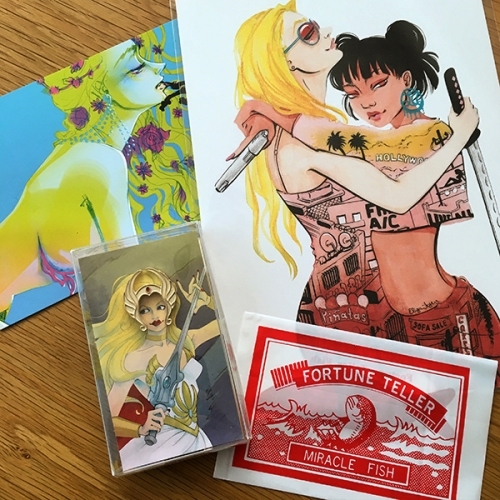 FEATUREDA close up look at Eliza Frye's "Fabulous Secrets" She-Ra inspired Pin and Freelancers mini print. 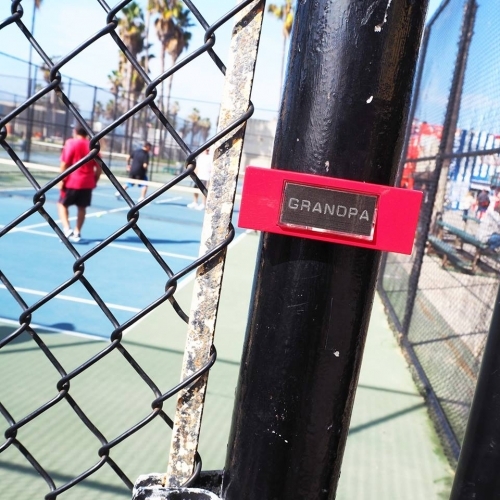 French street artist Le Sonneur sticks his arty red doorbells in the streets of Los Angeles and Venice. 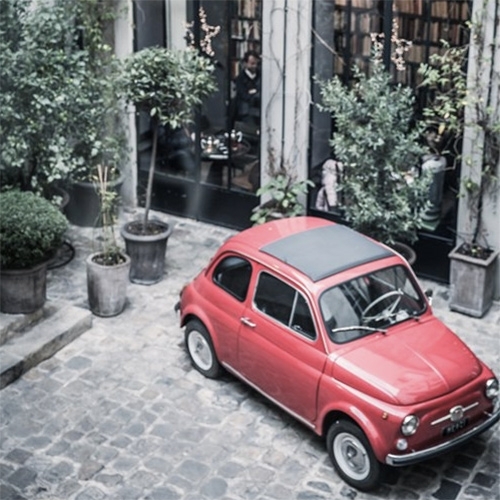 Open your eyes and follow those red ephemery poetic spots. 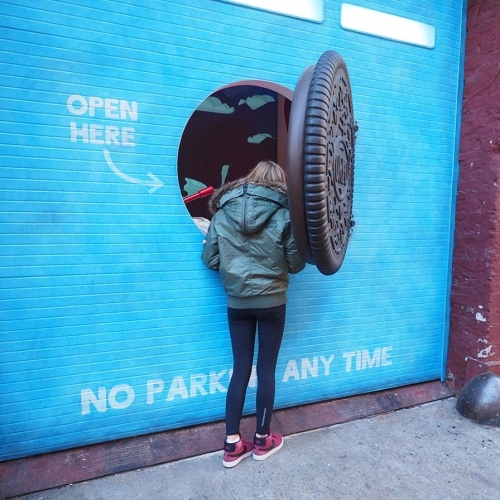 Oreo Wonder Vault that popped up in NYC... open the Oreo, pull the lever, get a Filled Cupcake Oreo before they hit store shelves! 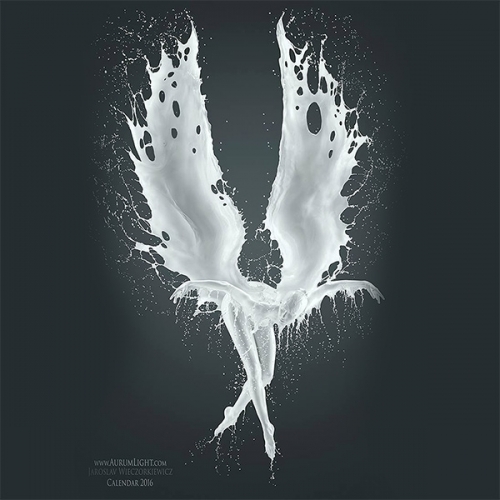 Weber Shandwick was the lead activation agency on this, in collaboration with Iontank, 360i, The Martin Agency and Carat. 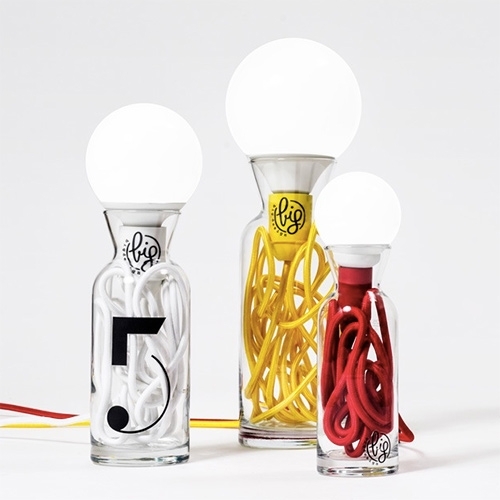 Sturlesi Design's take-off from the ‘carbon bulbs’. The lamps are made in-house from a durable concrete base, an efficient LED bulb and 6 interchangeable laser engraved acrylic glass modules. 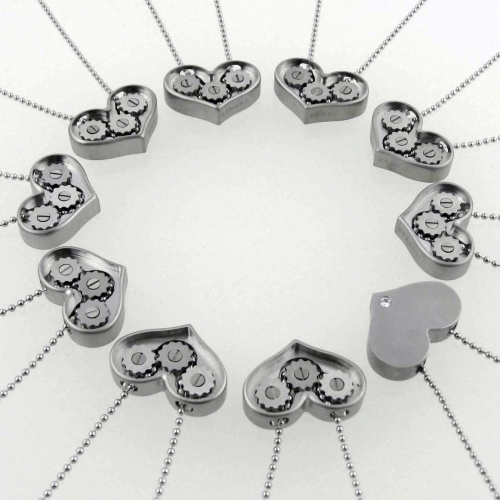 Kinekt Design releases a new mini version of their Gear Necklace just in time for Valentine’s Day. A diamond can be added to the back of the pendant allowing for reversible wear. 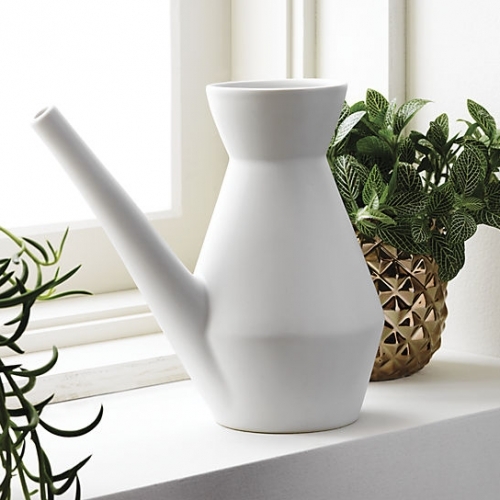 Watering Carafe designed exclusively for CB2 by SAIC student Mathew Devendorf. 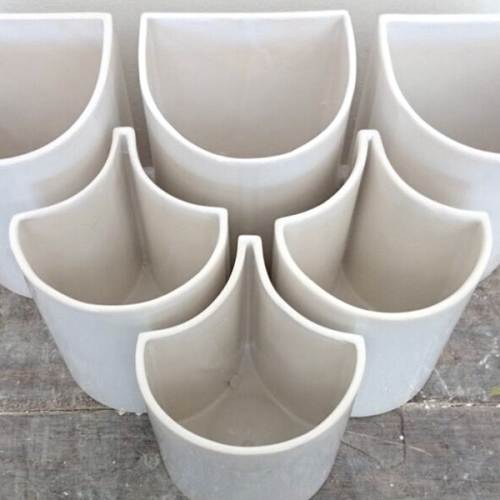 Made of 100% stoneware with matte white glaze. 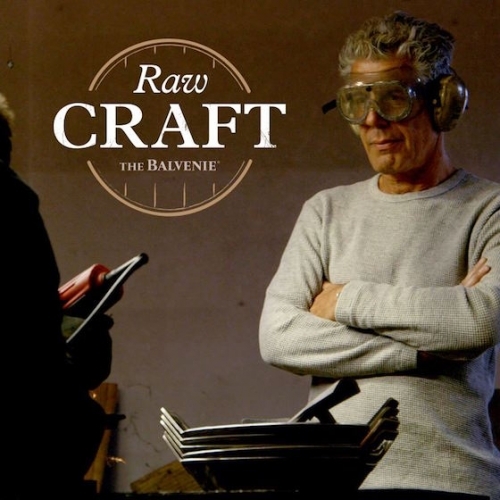 VIDEOAnthony Bourdain explores how cast iron skillets are made at Borough Furnace in Syracuse, NY. 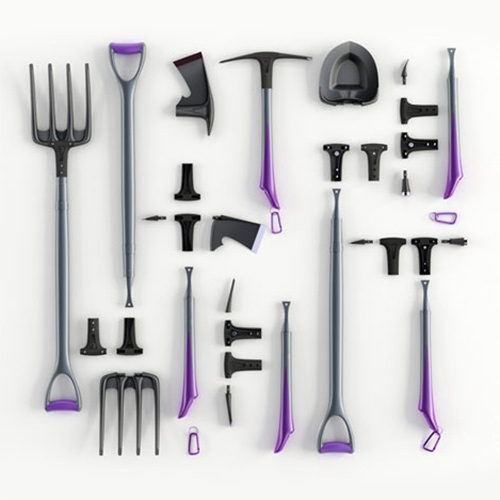 Modular Hand Tools is an innovative set consisting modular pieces to create tool combinations including the stand for the storage and the turn-screw accessories. 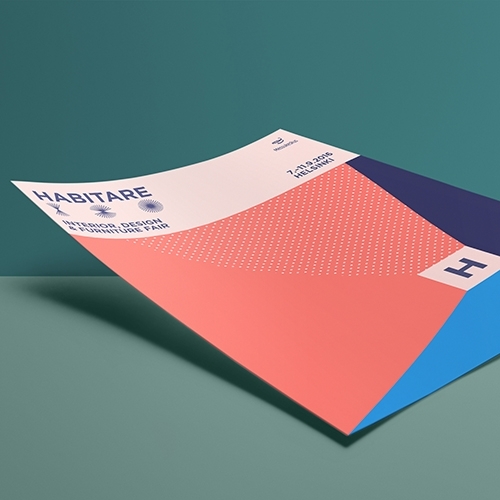 358 Helsinki's new identity for Habitare, the international furniture & interior design fair is based on a system that creates a new perspective & color scheme every time the centerpiece is scaled or moved. 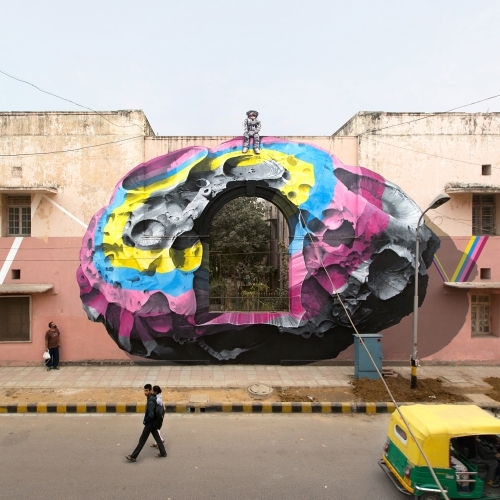 Nevercrew's new mural painting "see through / see beyond" realized in New Delhi, India, for St+Art India Foundation. Thomas Schnur's Twist. 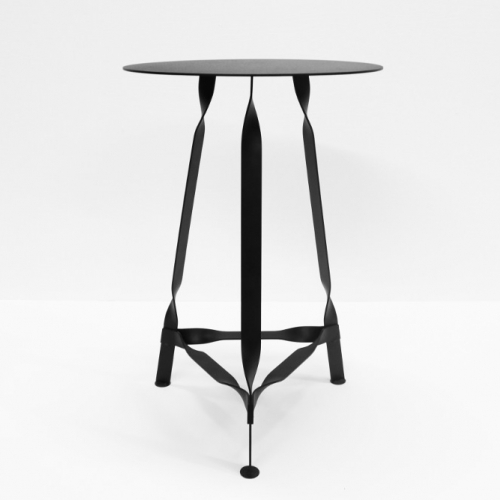 Stability through torsion – the structure made of twisted flat rods forms the base frame of the Twist side table. 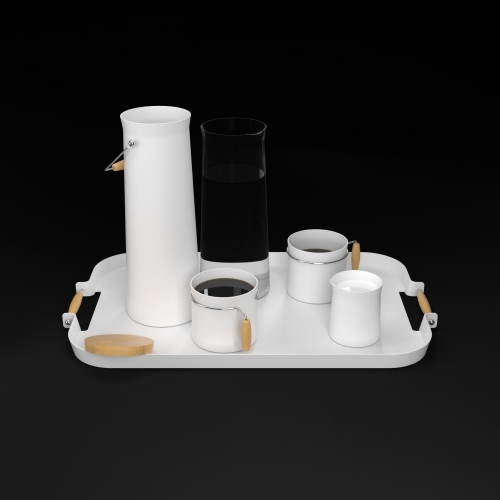 Made of powder coated steel. VIDEOTime Trial is an interactive rock climbing video game produced by Randori, and hosted at Brooklyn Boulders Somerville twice a month. 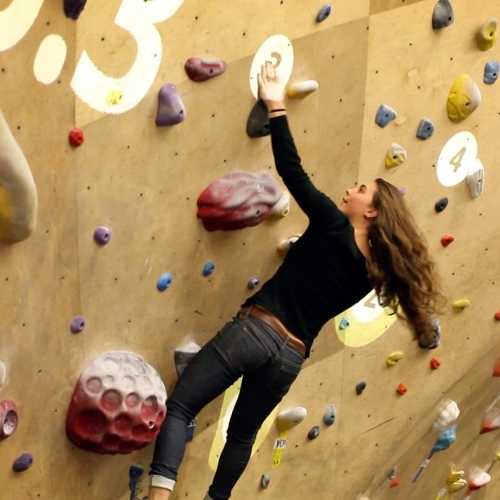 Players compete in a dynamic setting featuring augmented reality on a climbing wall. 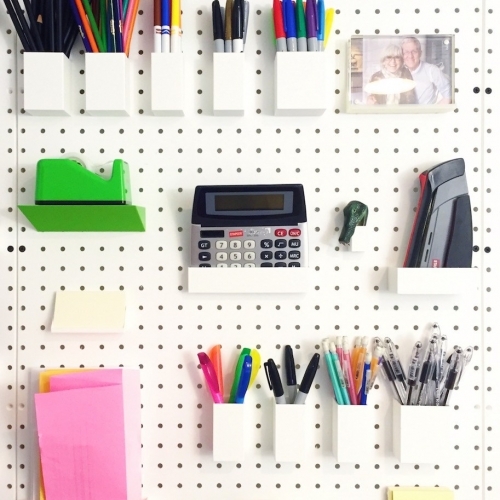 The Manhattan Pegboard Collection for 3D Printers - NYC apt reflecting a focus on creating organized spaces using custom 3D printed solutions and modular pegboards. VIDEOLos Angeles 6th Street Bridge over the LA River is about to be taken down. 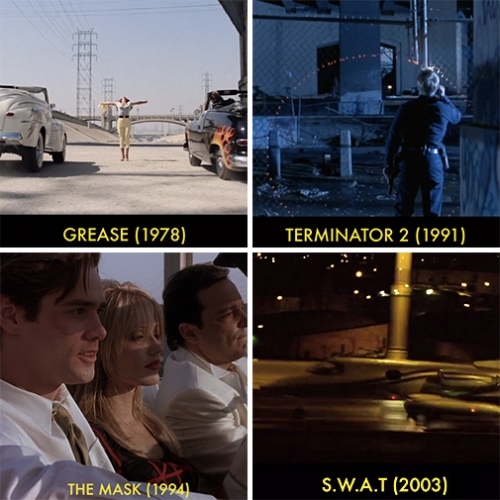 Vashi Nedomansky has rounded up 11 of the hundreds of films that feature it. 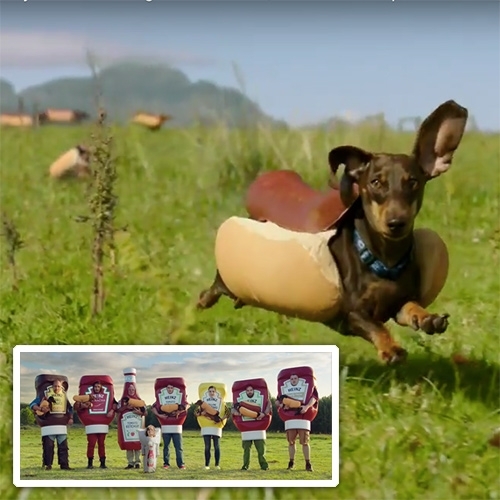 VIDEOHEINZ Ketchup Game Day 2016 Hot Dog Commercial - "Wiener Stampede" - The dachshunds are adorable! As is the little kid in the ketchup packet costume! 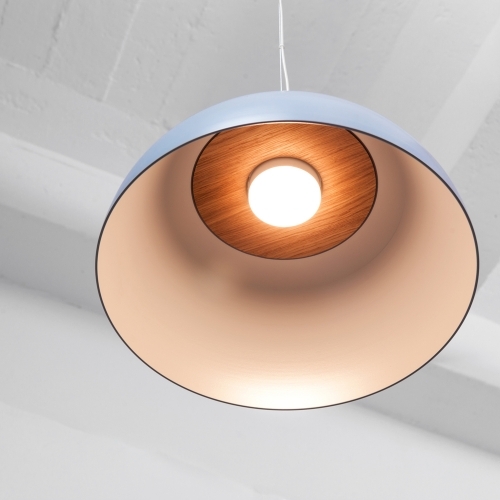 The new DUB pendant light manufactured by dreizehngrad works on a simple principle: a handmade shade of pressed aluminium is beeing supported by a wooden base. 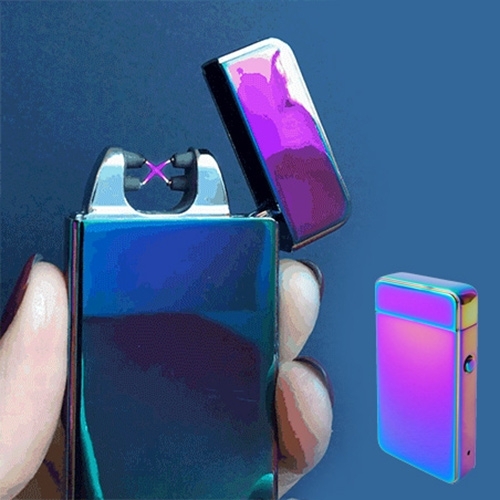 Plasma Lighter by Tribe of the Eastern Sun. An included USB charger provides approximately 50 lights per charge. Windproof, beard-friendly, airplane-safe, and a non-toxic, eco-friendly alternative to traditional lighters. 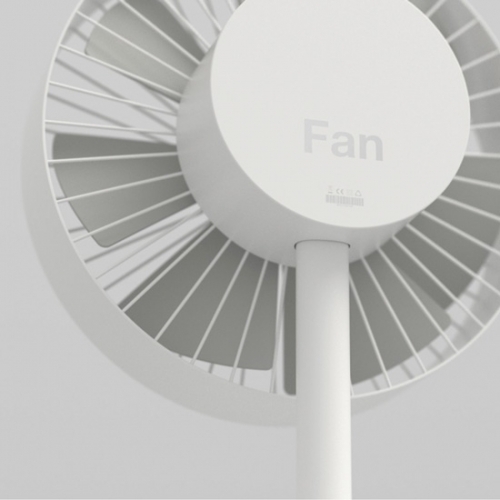 Munich based studio Relvaokellermann pesents the project fan. A domestic ventilator reduced to the necessary. It's a sample of the new lab section on their website. 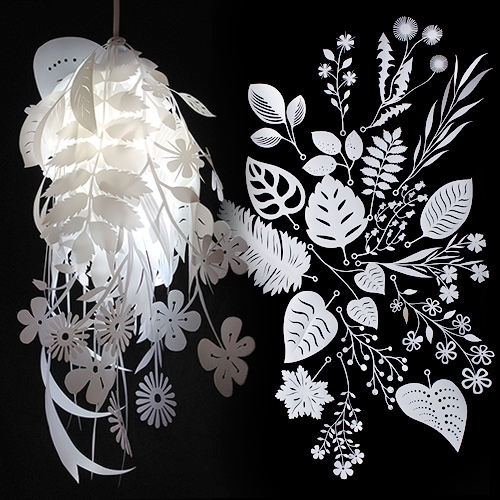 Artecnica Bouquet Light by Tord Boontje. A collection of twenty diverse floral and bucolic elements that can be arranged in any desired composition just as one would when making a bouquet of flowers. Made of PP and PET. 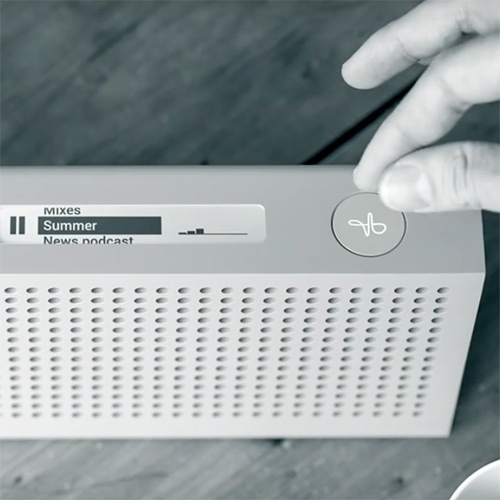 VIDEOGoogle's Project Soli is using radar to enable new types of touchless interactions -- one where the human hand becomes a natural, intuitive interface for our devices. 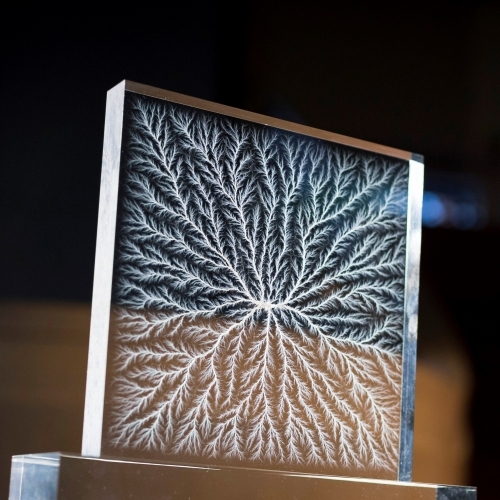 The Soli sensor can track sub-millimeter motions at high speed and accuracy.